• Replacement screw-set for key holders of known brands Keypack, Carbokey, Carbocage and others. • Screws in eight lenghts enable accommodating of up to 16 keys in the organizer. 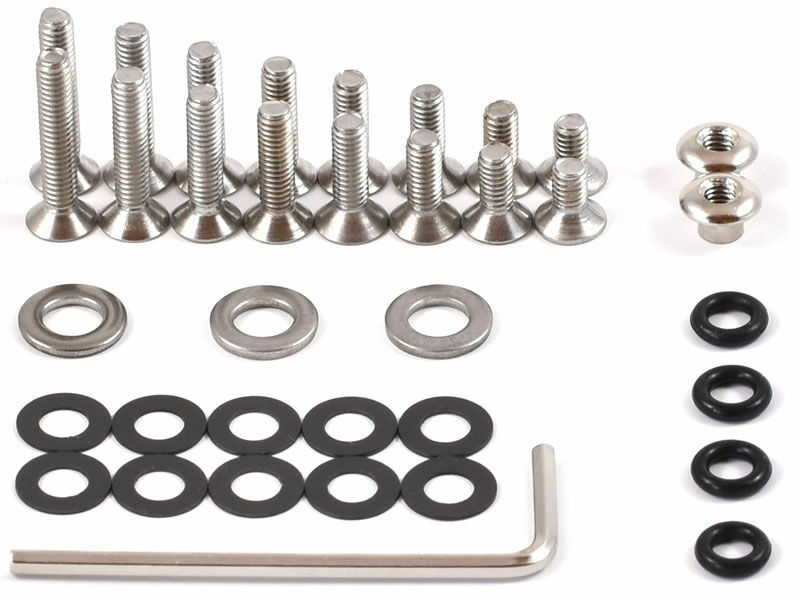 • Shipping Content: 2 screw nuts, 16 screws (2 x 8, 2 x 10, 2 x 12, 2 x 14, 2 x 16, 2 x 18, 2 x 20, 2 x 22 mm), 10 vinyl washers, 3 steal washers, 1 allen key, 4 rubber o-rings.